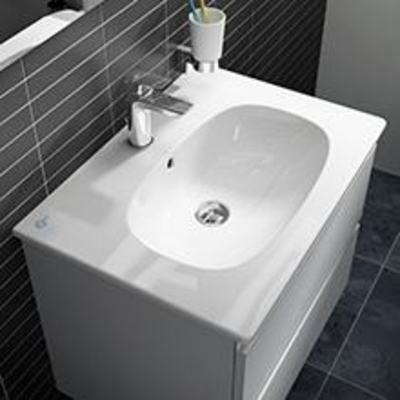 A single basin is designed to serve one man needs. 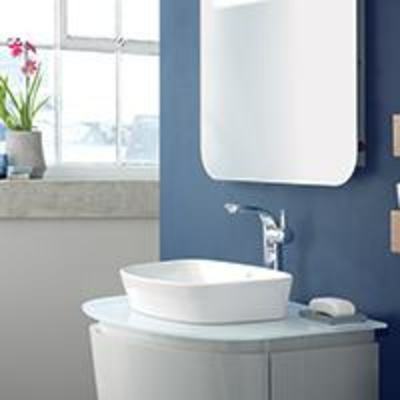 A vanity washbasin is specifically designed to fit the contour of the matching basin furniture, creating a clean, tidy look with all clutter out of sight in the furniture unit below. 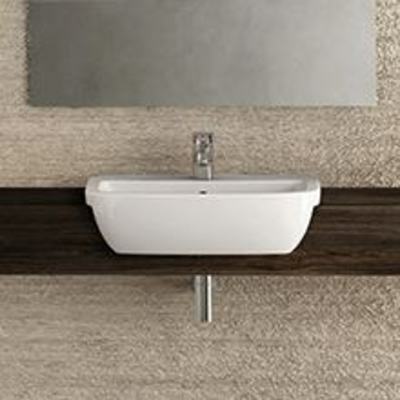 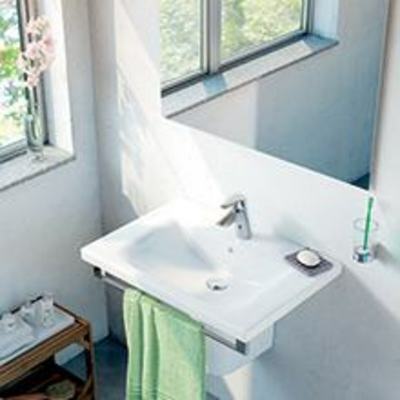 Vessel washbasins are designed to sit elegantly on top of basin units or worktops. 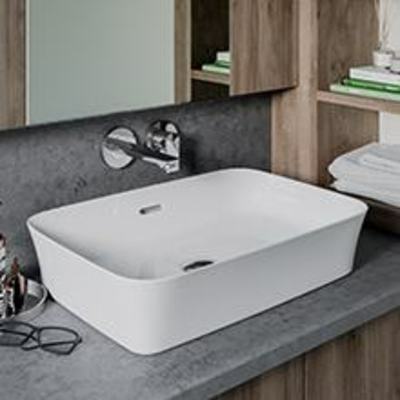 Separate taps mounted into the worktop lend a look of hotel-style luxury, while a mixer mounted on the vessel’s deck (where available) gives a more contemporary feel. 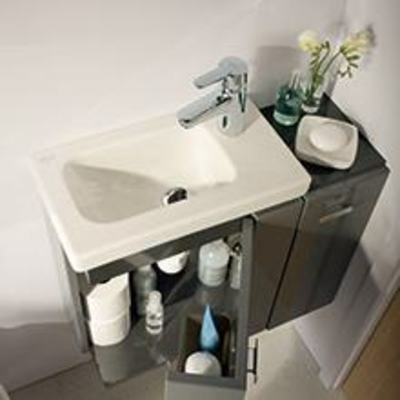 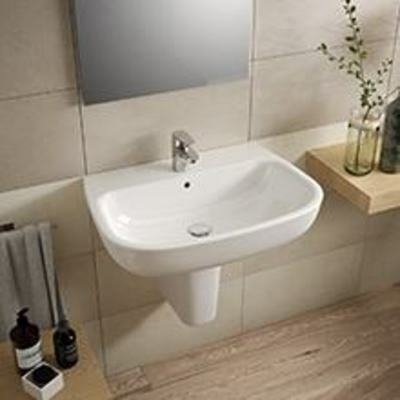 Countertop washbasins are designed to be set into a countertop or basin furniture unit, concealing all the pipework, and of course any bathroom clutter, below, to give you a clean, tidy bathroom. 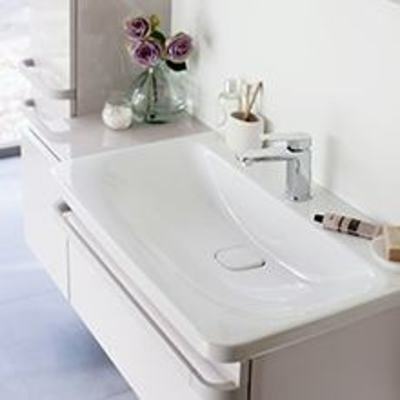 Semi-countertop washbasins are only partly recessed into furniture, hiding the pipework and the usual bathroom clutter, but are more comfortable to bend over than a fully-recessed countertop washbasin. 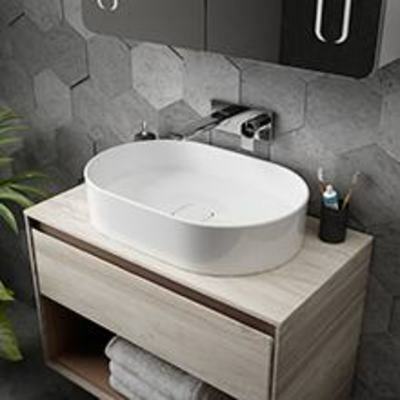 Special basin designed to fit at 45 degrees into the corner, making it possible to use awkwardly shaped bathrooms or cloakrooms. 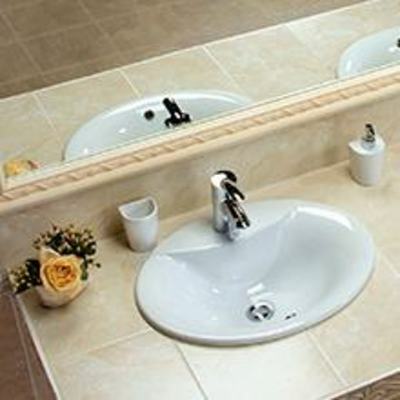 A double basin is designed to serve two men needs. 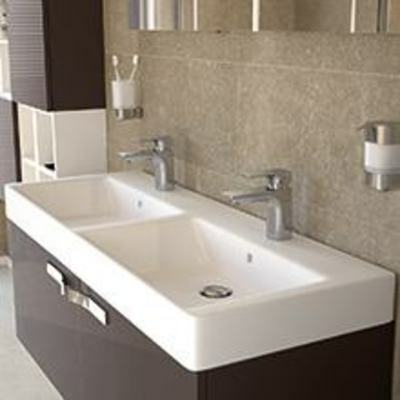 It needs two tap mixers. 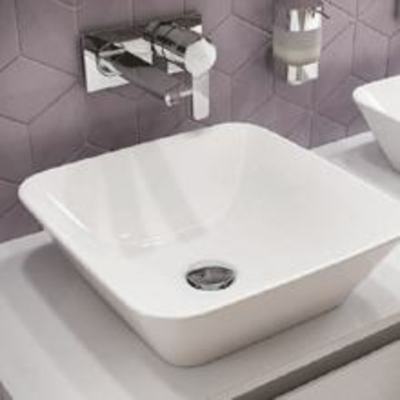 Compact washbasins that save precious space in the bathroom by using a bowl design that doesn’t extend as far forwards as a standard washbasin. 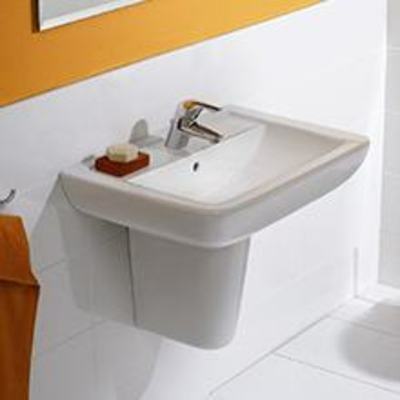 Very compact washbasins for hand washing only specially designed to fit in cloakrooms and older properties where the WC is separate from the bathroom.